Completely agree with Randeep Grewal. Go for a Lexus instead. Benz is all show and no go. Despite, Lexus, Acura and Infinity, Benz has not learned a lesson. Crap build quality and a hopeless car. The AC in a brand new E300 CDI was not working. No cooling in the rear. Electricals are a nightmare. Mercedes is ready to relieve you of your cash at the slightest excuse. Unfortunately MB is the largest luxury car seller in India so their sales and service network is the best. They are in a monopolistoc market. Lexus India has a poor sales and service network. The Benz is not a daily use car. Constant repairs that cost a fortune. VASTLY OVERRATED CAR. But the taxi, limo, embassy, UN and fleet market loves. So do millionaires and billionaires who have a fleet of luxury cars they can fall back on when their Mercedes goes bust each week. Service is EXPENSIVE. $1000 for a E class. Not made for Indian roads. I bought this for pleasure of driving but it became a nightmare driving in crowded Indian roads. The roads do not justify buying these luxury cars as the suspension (air suspension on these) will suffer every moment the car is being driven. Moreover, this SUV is not available with V12 variant. I have GL 550 in Los Angeles and that is way way better than GLS 400 Grand. GL550 is V12 supercharged AMG edition. I don't mind paying money for good luxury car that I can drive for pleasure but what is the use of a car that cannot handle nasty roads properly. Even on top of that there is no respect for any car/object/person on road in India. A rikshaw puller will ding your car and you have no choice of getting tangled with him for no reason. Then Insurance will definitely give you hard time getting that ding fixed. Good luck if you are buying this car in India. If you have enough money to buy this car there then go to a country that offers better civilization and better roads. 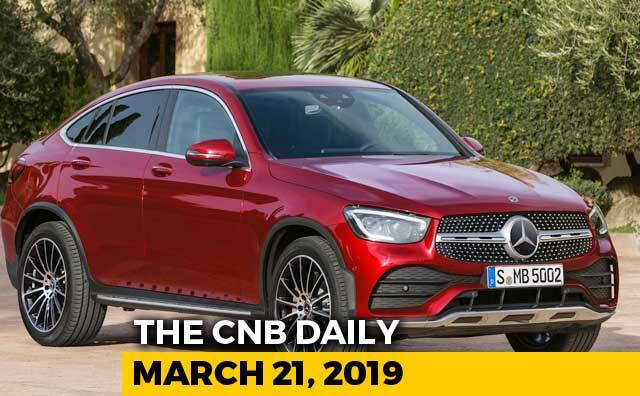 The Stuttgart based global automobile manufacturer Mercedes-Benz is a division of Daimler AG and is known for producing luxury vehicles, buses, coaches and trucks. Mercedes-Benz India Ltd set foot in Indian market in 1994 which was renamed DaimlerChrysler India Pvt Ltd post Daimler’s merger with Chrysler. In 2007, Daimler split up with Chrysler and the company was named Daimler AG and its Indian arm was rechristened Mercedes-Benz India Pvt Ltd. The German based luxury automobile manufacturer instigated the luxury market in India, which at that point in time was not a very popular segment. Headquartered in Pune, Mercedes India has a manufacturing plant in Chakan, Maharashtra. Built in 2009, the Chakan plant is spread across 100 acres and is among Mercedes’ most eminent CKD units on a global level. Established in 1996, Mercedes Benz India also has a research and Development centre in Bengaluru which is by far Mercedes’ largest R&D centre outside Germany. Mercedes Benz cars are popular among luxury enthusiasts in India; the company has a wide range of models, its product portfolio comprises of saloons, tourer, coupes, SUVs and cabriolets & roadsters.